Studying is a very important thing to do. If you do not studying for important test or quizzes, you are most likely to fail. For some people studying is hard to do. If you have good habits for studying then you will be very successful. If you are on of those people that find it hard to study or don’t really now how. Then here are some great tips and habits that you should start doing, so you can pass that really important exam. Too many people look at studying as a necessary task, not an enjoyment or opportunity to learn. That’s fine, but researchers have found that how you approach something matters almost as much as what you do. Being in the right mindset is important in order to study smarter. Sometimes you can’t push yourself to be in the right mindset, and it is during such times you should simply avoid studying. If you’re distracted by a relationship issue, an upcoming game, or finishing an important project, then studying is just going to be an exercise in frustration. Or maybe studying will relieve your stress. You won’t know until you test it out. Where you study is important with getting everything done. A lot of people make the mistake of studying in a place that really isn’t conducive to concentrating. A place with a lot of distractions makes for a poor study area. 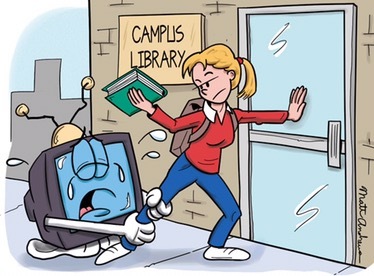 If you try and study in your dorm room, for instance, you may find the computer, TV, or a roommate more interesting than the reading material you’re trying to digest. The library, a desk in a student lounge or study hall, or a quiet cafe are good places to check out. Make sure to choose the quiet areas in these places, not the loud, central gathering areas. Investigate multiple places on-campus and off-campus, don’t just pick the first one your find as good enough for your needs and habits. Finding an ideal study place is important, because it’s one you can reliably count on for the next few years. Unfortunately, when you find an ideal place to study, sometimes people bring things they don’t need. For instance, while it may seem ideal to type notes into a computer to refer back to later, computers are a powerful distraction for many people because they can do so many different things. Playing games, going online, texting, surfing the Web, and answering emails are all wonderful distractions that have nothing to do with studying. So ask yourself whether you really need a computer to take notes, or whether you can make do with the old-fashioned paper and pen or pencil. Don’t forget the things you need to study for the class, exam or paper you’re focusing on for the study session. Nothing is more time-consuming and wasteful than having to run back and forth regularly because you forget an important book, paper, or some other resource you need to be successful. If you study best with your favorite music playing, make sure your iPod is with you. The old age saying, practice makes perfect, is true. You can practice by yourself by testing yourself with either practice exams, past quizzes, or flash cards. If a practice exam isn’t available, you can make one up for yourself and your classmates (or find someone who will). If a practice or old exam from a course is available, use it as a guide, do not study to the practice or old exam! Such exams help you understand the breadth of content and types of questions to expect, not the actual material to study for. Some people enjoy reviewing their materials with a group of friends or classmates. Such groups work best when they’re kept small (4 or 5 others), with people of similar academic aptitude, and with people taking the same class. Different formats work for different groups. Some groups like to work through chapters together, quizzing one another as they go through it. Others like to compare class notes, and review materials that way, ensuring they haven’t missed any critical points. Such study groups can be helpful for many students, but not all. Previous PostTips On How To Feel Better When SickNext PostCan Money Really Buy Happiness?